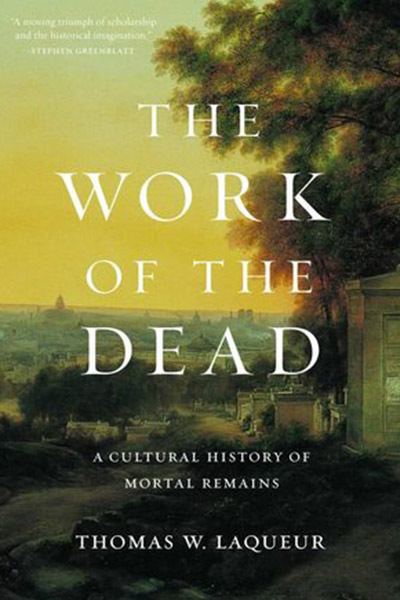 The Laura Shannon Prize Lecture: "Bodies Visible and Invisible: Nationalism and the Necro-Politics of the Jewish Cemetery in Modern Thessaloniki"
The Nanovic Institute for European Studies has awarded the 2018 Laura Shannon Prize in Contemporary European Studies to Thomas W. Laqueur for his book, The Work of the Dead: A Cultural History of Mortal Remains, published by Princeton University Press. The Laura Shannon Prize, one of the pre-eminent prizes for European studies, is awarded each year to the best book in European studies that transcends a focus on any one country, state, or people to stimulate new ways of thinking about contemporary Europe as a whole. Thomas W. Laqueur, who is Helen Fawcett Professor of History at the University of California, Berkeley, also does research in British social history, medical history, and the history of sexuality, and he has written numerous books and articles on these topics. He will visit Notre Dame to accept the prize, deliver a public lecture entitled, "Bodies Visible and Invisible: Nationalism and the Necro-Politics of the Jewish Cemetery Modern Thessaloniki," and meet with students and faculty.